NRPA and The Walt Disney Company have come together to improve access to outdoor play through the Meet Me at the Park Play Spaces Grant Program. Thanks to a $1 million donation from Disney, grant funding is available to provide additional communities with increased access to inclusive play spaces in local parks for children and families. As part of this program, park and recreation agencies in all 50 states, the District of Columbia and U.S. Territories are invited to share their best ideas on increasing access to inclusive play spaces for children and families in underserved communities. Agencies with the most innovative, scalable and impactful project ideas will receive grants to build their projects. This investment supports NRPA and Disney’s combined goal of providing one million kids and families with greater access to play. The project must take place at a publicly-owned site(s) in an underserved community*. Provide opportunities for community engagement and volunteerism in association with the project. Promote the project locally through its own communication channels and on social media. Administer surveys and collect data from at least 25 people at the project site (tablet or laptop may be required). Eight of the selected grantees will be required to conduct a more in-depth evaluation to assess and understand how the project led to increased activity, community, connection to nature and other benefits. Evaluation tools and training will be provided to selected grantees. NRPA hosted a webinar on March 19, 2019 to provide an overview of grant requirements and help answer questions. Learn more about the webinar. Browse frequently asked questions and answers related to this opportunity. Please email playspacesRFA@nrpa.org with questions about the Play Spaces grant program. Starting in April 2015, NRPA and The Walt Disney Company teamed up to celebrate Earth Month by helping to fund local park improvement projects in cities around the U.S. You can view the past Earth Month projects here. 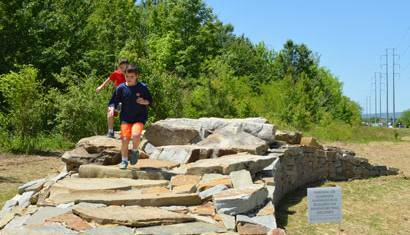 As the creators of park experiences, how can we better engage with children and families and encourage greater use when designing paths and trails? For the second year, NRPA and Disney issued that challenge to park and recreation agencies across the country. 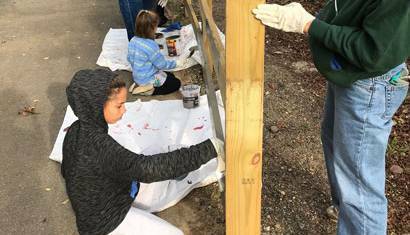 This year, a few NRPA Meet Me at the Park healthy living grantees decided to use Family Volunteer Day to get families in their communities involved in their Meet Me at the Park projects.